We are only able to bring this hub to you because of the kind support of our sponsors through the Affinity Health at Work Research Consortium. Since 2006, the Research Consortium has enabled us to undertake innovative and practical research relating to workplace health, wellbeing and engagement. 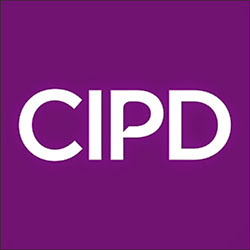 It allows us to work with and be supported by a group of forward-thinking organisations, including a number of 'institutional sponsors' (such as CIPD, HSE, Acas, IOSH) plus a variety of employer organisations drawn from a range of sectors (such as accountancy, insurance, energy, healthcare, transport, central government, finance and education). The Consortium is a collaboration between researchers and members, who contribute by taking part in research projects and helping shape outputs, as well as financing the research work; in return, they receive a range of membership benefits. Click here to find out more about the Research Consortium and benefits . In order to keep the hub alive and to keep the content free to access and up to date, we need more sponsors. If you or your organisation are interested in joining our Consortium and sponsoring the hub, or if you would like to sponsor a particular topic within the hub, please do contact us. IOSH is the Chartered body for health and safety professionals. As the world's biggest professional health and safety membership organisation, we're the voice of the profession, campaigning on issues that affect millions of working people. We set standards and support, develop and connect our members with resources, guidance, events and training. The global university in the heart of an ambitious city. Persuasive, persistent and bold. We encourage and empower people to turn ingenuity into reality and make important things happen. AXA PPP healthcare is one of the largest, most experienced health and wellbeing providers in the UK and globally. Established in 1940, we have been helping people to access the medical care they need for over 75 years. We have a long history of leading the market in designing and introducing innovative solutions to meet the changing health and wellbeing needs of our clients, with an emphasis on embracing new technologies at an early stage to deliver better quality products, a better member experience and better value for our clients. We are part of the world’s largest insurance family, the AXA Group. Globally, AXA protects over 103 million people in 59 countries. Our scale means that we see healthcare trends unfolding on a global scale, and we use everything we learn to shape the future of healthcare, bringing you exciting technologies and insights from doctors and researchers around the world. Dr Rachel Lewis and Dr Joanna Yarker, through their work at Kingston Business School, are leading the way in the development of, and training in, evidence based practice solutions.